High quality combi wheels. Made in EU. Bore Size - Options available. Abrasive Cloth 180 Grit with Fine A material. 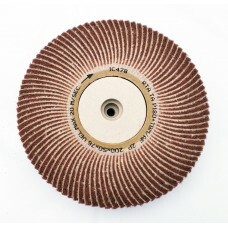 Excellent wheel for light abrasive brush finishing work. Can remove surface imperfections and leave a decorative directional finish.